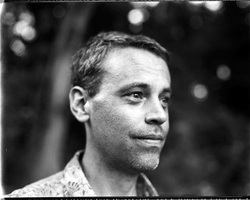 Brian Arnold is a photographer, educator, and musician based in Ithaca, NY. He has undergraduate degrees in English and Ethnomusicology from The Colorado College, and an MFA in Photography from the Massachusetts College of Art. His photographs have been exhibited in China, France, Indonesia, Italy, and the United States, and are included in a number of important museum and library collections, including the Museum of Contemporary Photography in Chicago, The George Eastman House in Rochester, the library at The Cleveland Museum of Art, The Colorado History Museum in Denver, the Johnson Museum of Art at Cornell University, the National Gallery of Art of Australia, and Light Work in Syracuse, NY. He has received a number of important grants and residencies, most recently from the MacDowell Colony, the Cite Internationale Des Arts in Paris, and the American Institute for Indonesian Studies. Brian has taught and lectured about photography at a number of prestigious institutions in the United States and abroad - including at Cornell University, the School of Art and Design at Alfred University, Massachusetts College of Art, the Santa Reparata International College of Art in Italy, Pasundan University and the Institute of Technology in Bandung, the University of Indonesia, the Indonesian Institute of Art, the National Gallery of Art in Australia, the School for International Training, and the Beijing Film Academy. He is currently working with the American Institute for Indonesian Studies.